in the two hopper feeds and cards in the punch. 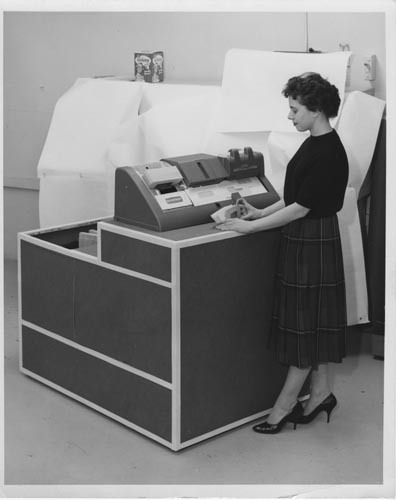 A woman is standing in front of the keypunch holding some photocards. Authorized by Austin Higginson IBM Research Department No 508 "